France is the land of love and romance, so whether you decide to stay in Paris or venture past the City of Lights to see the sites in the countryside, you can be sure that just being in France will be a romantic and unforgettable experience. However, if you are the adventurous sort of person, here are a few things you might want to try on your vacation to France to add an extra bit of romance. Experience the relaxed activity that many French people like to indulge in and spend the day tasting wine together. There are wineries spread throughout the towns and countryside in France. You could either walk or drive to a winery near where you’re staying, or you can join an organized tour that will take you to several wineries. If you don’t have a tour guide just look for signs that advertise “degustation,” or tastings. If you’d rather stay in the city, you could spend an afternoon going from one cafe to the next, sampling different types of wine together. Maybe you’ll find a new favorite that you can look for back home that will remind you of your romantic vacation in France. 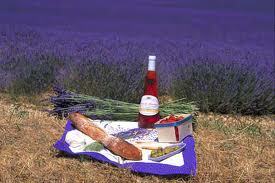 Even if you are on a limited budget, the both of you can have a romantic picnic anywhere in France. Just pack simple foods you can eat with your hands or feed each other. Pick up a freshly baked baguette, a couple of chunks of cheese, a few chocolate croissants, and a nice bottle of wine then find a nice quiet spot. If you are in Paris, you can have a picnic at the base of the Eiffel Tower, on the edge of the Seine or on a simple park bench. In the countryside, spread out a blanket in the grass on a rolling hill. For a nice romantic trip, go to the Loire Valley. This region in the northwest is known for its fairytale gardens, quaint towns and gourmet cuisine. The Loire Valley is also home to more than 1,000 castles, with some that date back to the late 990s A.D. Some of these chateaux are open for tours, while others have been converted into hotels. Spend an entire week bonding in one of the beautiful towns or spend the time traveling from one to the next. Several romantic movies have been filmed in France, because its just so darn romantic. Do a little research before your trip and watch a movie or two that was filmed in France, find a particularly romantic scene (if you two don’t already have a favorite) find out where the scene was filmed and visit that spot with your love. Maybe even act out the scene. You can find information about filming locations online or at a tourism office. But don’t let on that you heard that last idea from me, it will be our little secret and your brilliant romantic idea.